​The 4th of July is a favorite day of celebration for many people, but let’s be honest: It’s a day of terror for many pets. And while we’re at it, let’s be even more precise: the Forth of July might as well be renamed “Feline Fright Night” for most cats. So what’s a devoted cat guardian to do?? There is a cornucopia of clever advice for dog owners to help their canine companions on the Night of Assault on the Senses, but what about the cats?? Cats need help, too! That's why Conscious Companion is here. 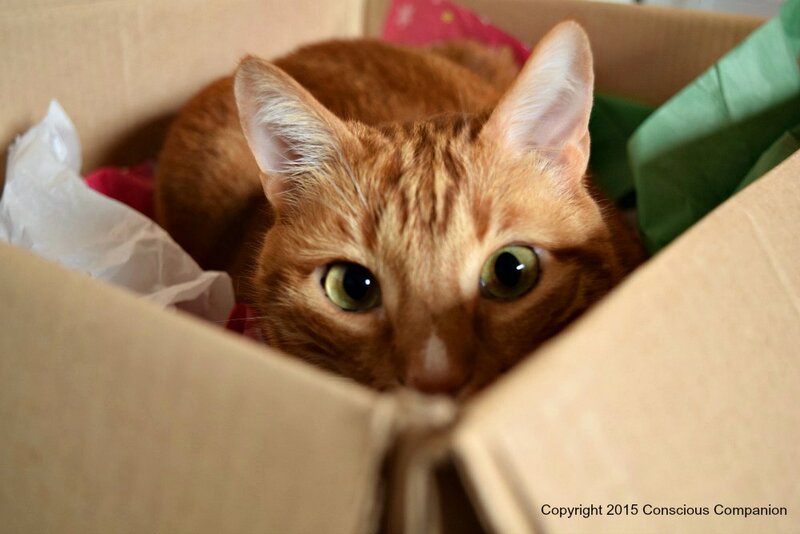 This FREE online event is for you and your feline family members! Are You and Your Feline Family Members Prepared? 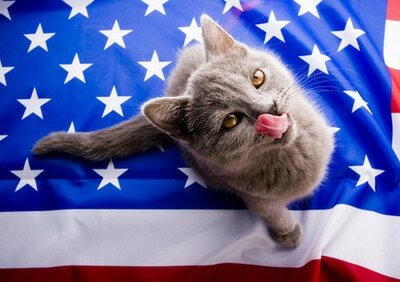 Family festivities such as the 4th of July don’t have to become the Feline Fright Night to our kitty friends! There are many things that you can do to help your feline family members successfully cope with the Big, Bad Booms, and Bangs. In this FREE online event, I will share valuable tools, tips, and techniques to help you become a Conscious Companion, and change Fourth of July Fright Night into a stress-free experience for everyone in the home! 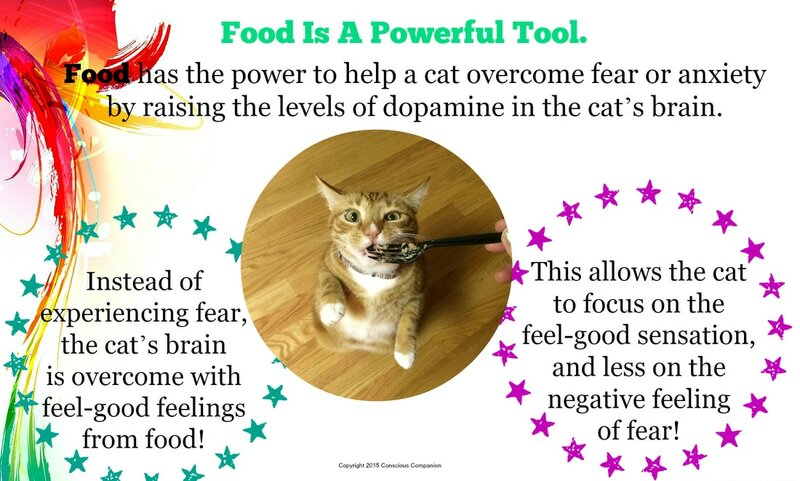 Learn how to properly use FOOD to modify feline fear! Learn how to turn your frightened feline into a fearless lion in the living room! Learn why cats behave the way they do when threatened, and what you can provide to help them feel safe and secure! Ask Away! We will trouble shoot common questions and provide in-depth answers for your family. The 4th of July is a favorite day of celebration for many people, but let’s be honest: It’s a day of terror for many pets. If you have worked or lived with an animal, you know that most are frightened of loud or startling noises. 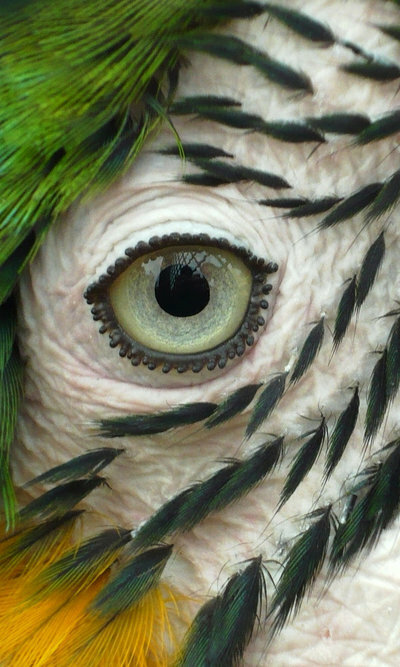 Even if your animal companion has not displayed this fear before, the sights, scents, and sounds on The Fourth of July could easily bring out their most intense fears. So, what’s a devoted animal guardian to do?? Here's the Good News: Family festivities on the 4th of July don’t have to be a Fright Night to our animal companions! There are many things that you can do to help your animal family members successfully cope with the Big Bad Booms and Bangs! 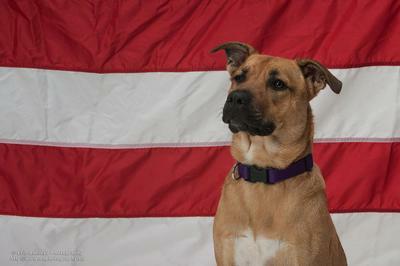 Join us for a FREE virtual discussion about how the Fourth of July festivities affect animals. Learn how to shift the Fourth of July Assault-on-the-Senses into a stress-free experience for everyone in the home!